We understand that every job is unique. We offer many different container sizes to fit your construction needs. If you’re beginning a remodeling project, odds are you’ll need to rent a roll off. When you need a dumpster near Murfreesboro give us a call. First time renting a roll off? We have made the process simple. By utilizing relationships across the state. When you rent a roll off container with us you will receive great customer service from the start. With a fleet ranging from 12 cubic yards up to 40 cubic yards we have what it takes to complete the project. Save time and money when you order from Discount Dumpster. Call now for an instant quote. 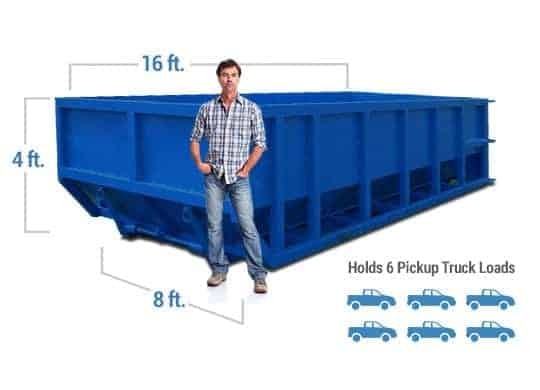 The first hurdle when renting a dumpster is to figure out the best size for your specific project. A roll off is named after the amount of volume that may fit into the container. For example a 10 yard container holds 10 cubic yards of debris. When renting a bin it is usually best to order one size larger, if you have the space. 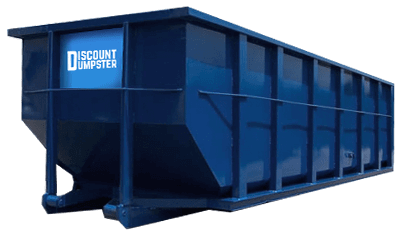 It is cheaper to rent one dumpster and have some extra space than it is to rent two. Another aspect to think about when ordering a bin is the weight. Try to avoid placing things like rock, dirt, concrete, and old sod as this will likely make the roll off heavier than the limit. Any other questions just give us a call. We offer deliveries all over town including residential homes, construction sites, shopping centers, hotels, schools, parks, office parks and more. Let us know here you need the dumpster located and our experienced drivers will do their best. All dumpsters have an open top and back gate to allow for max disposal and best use of your dumpster rental in Murfreesboro. Not sure what size dumpster is best for you? Give us a call and our staff will point you in the right direction.